What is the relevant legislation relating to tax administration and controversies? Other than legislation, are there other binding rules for taxpayers and the tax authority? The Austrian tax authorities must apply Austrian statutory tax law (including EU directives that have been transposed into national law) as well as constitutional law and directly applicable EU law. Bilateral double taxation conventions are transposed to national tax law by parliament and are as such directly applicable. Ministry of Finance regulations serve to substantiate the law, and within the boundaries provided by the law are also binding for all taxpayers and the courts. In contrast, guidelines or ordinances issued by the Ministry of Finance are binding only for the tax authorities themselves, and not for the taxpayer or the courts. Such guidelines provide explanations and interpretations of Austrian tax law and are intended to harmonise interpretations of the tax law. If a taxpayer relies on these guidelines or ordinances, he or she can expect protection of his or her good faith under certain conditions. Case law of the European Court of Justice and the domestic courts is also important. What is the relevant tax authority and how is it organised? Austrian tax administration is divided among the federal government, nine provinces and the municipalities. Most taxes (such as income tax, corporate income tax and VAT) are federal taxes. The individual provinces and municipalities have implemented local taxes, which, however, play only a minor role. The Austrian Ministry of Finance is the head of the federal tax administration and is superior to the local federal tax offices. Assessment of federal taxes is performed by the local tax offices. Local taxes are assessed by the local administration. How does the tax authority verify compliance with the tax laws and ensure timely payment of taxes? What is the typical procedure for the tax authority to review a tax return and how long does the review last? Usually, tax returns are subject to a plausibility check before a tax assessment is made. Normally, a review is only undertaken if certain aspects of the tax return are unclear to the tax office. It is also possible that a certain number of tax returns are randomly chosen for a comprehensive review. The duration of a review depends on the workload of the tax office, the complexity of the tax return and the taxpayer’s responses to questions. A review might take up to several months. If the review takes place as part of a tax audit, specific rules apply. If payment of taxes is not made on time, a late payment fine arises that amounts to 2 per cent of the total due. After three months, a further 1 per cent, and after another three months another 1 per cent, is charged. Are different types of taxpayers subjected to different reporting requirements? Can they be subjected to different types of review? A resident taxpayer must file an income tax return if his or her annual income exceeds €10,000 (or €730 in addition to received employment income). A non-resident taxpayer must file a tax return if his or her annual income taxable in Austria exceeds €2,000. In case of business income, the taxpayer’s accounts serve as the basis for income taxation. Under commercial law, individuals or partnerships are obliged to prepare financial statements if their annual gross turnover exceeds €700,000. The financial statements are then the basis for the determination of taxable profits (after correction for deviating provisions in tax law, known as ‘book-to-tax adjustments’). Austrian corporations must always prepare financial statements and file an annual corporate income tax return. With regard to partnerships, the partnership must file a tax return to determine its taxable income, and the partners must file their annual tax returns, in which they have to include their share of the partnership’s income (the partnership is transparent for tax purposes). There are numerous other filing obligations; for example, for real estate transfer tax, for stamp duty and for entrepreneurs, there is an obligation to file monthly or quarterly as well as annual VAT tax returns. Notifications of certain donations have to be filed. Donations to Austrian private foundations are mostly subject to trust-entrance duty of 2.5 per cent (25 per cent in the case of non-Austrian trusts and foundations under certain circumstances). Normally, the assessment is made by the tax office. Additionally, in case of electronic filing of the tax return, a review can take place after the assessment in an ex-post control decree within a year to adjust the result without further reasons. Further, after the decree has become final and binding from the side of the tax office, tax audits may be performed (see also question 8). The frequency of tax audits depends on the business size. Large businesses are audited on a permanent basis. What types of information may the tax authority request from taxpayers? Can the tax authority interview the taxpayer or the taxpayer’s employees? If so, are there any restrictions? Tax authorities can request all kinds of information. The most intensive form of review will be a tax audit. The voluntary system of ‘horizontal monitoring’, which will enter into force on 1 January 2019 for large enterprises, will involve an additional obligation of cooperation with the tax office on an ongoing basis for enterprises which have opted to participate (see question 9). In a tax audit, taking place every few years, the taxpayer has the obligation to cooperate with the tax authority. In particular, the taxpayer must clarify his or her standpoint, prove the content of their declarations and supply to the tax authorities all the information that is needed to ascertain the facts alleged that are relevant for taxation. This includes business books, accounts and records, financial information and copies of invoices or transaction documents and the information necessary to understand the records. The tax authority can also interview third parties, including the taxpayer’s employees. What actions may the agencies take if the taxpayer does not provide the required information? During a review or a tax audit, an unjustified refusal to answer an information or document request from the tax authority constitutes a violation of the taxpayer’s obligation to cooperate with the tax authority. In such cases, the tax authority has a right to assess the tax based on its justified estimation, applying certain rules as laid down in law and in interpretation by the courts. This assessment cannot be appealed unless the estimation has been wrongfully made. There is no possibility of conducting compulsory measures (eg, house search or seizures) in the ordinary fiscal audit procedure. By contrast, in a criminal tax audit, the tax authorities may investigate documents on the premises or in the home of the taxpayer and seize what is relevant for the case, unless these are excluded from seizure (eg, because of attorney-client privilege). How may taxpayers protect commercial information, including business secrets or professional advice, from disclosure? Is the tax authority subject to any restrictions concerning what it can do with the information disclosed? Business secrets are protected in Austria, but not with regard to the tax authorities. The tax offices are bound to confidentiality, with the threat of a fine or up to three years’ imprisonment. However, if a criminal tax procedure has been started, the authority may be obliged to inform other authorities or criminal prosecutors. In the fiscal criminal law procedure, attorneys and legal professionals enjoy attorney-client privilege. Hence, they can lawfully refuse to provide information to the tax authority that was obtained by them in their capacity as the representative of the client (such documents may also not be seized even if they are found during a seizure at the taxpayer’s premises). If faced with such refusal by the representative, the documents must be sealed and may only be accessed if a court authorises it. What limitation period applies to the review of tax returns? The results of a tax audit may be assessed until the statute of limitation. In general, the statute of limitation is five years, but it is 10 years in the case of deliberate tax evasion. The period starts with the elapse of the year for which the assessment was filed, which means that the statute of limitation is de facto extended to six years. If the tax authority performs an official measure, the period is extended for another year. However, after a period of 10 years, the statute of limitation for the assessment expires in any case. Describe any alternative dispute resolution (ADR) or settlement options available? No ADR procedures are available. It is always possible for the taxpayer to contact the competent tax office and ask for informal answers to tax questions or informal tax rulings. Binding rulings can be requested from the tax office concerning group taxation, transfer prices or tax-neutral reorganisations and, as of 1 January 2019, additionally concerning other areas of international tax law and questions of the general anti-abuse provision. Regarding VAT issues, this comes into force on 1 January 2020. The tax office should decide within a period of two months. A fee to the government becomes due for a positive ruling, which can range from €1.500 to € 20.000, depending on the size of the turnover of the applicant. In the case of a negative ruling, the taxpayer may submit an appeal to the Federal Finance Court. Additionally, mutual agreement procedures according to double tax conventions should be noted. Finally, it should be mentioned in relation to settlement options that a bill for the tax amendments 2018 has recently passed the first chamber of parliament, which provides for a regime of ‘horizontal monitoring’, probably entering into force on 1 January 2019. This regime will be available for enterprises with an annual turnover of more than €40 million, as well as generally for banking institutions and insurane companies. If an enterprise opts for the ‘horizontal monitoring’, it will not be subject to tax audits, but is reviewed by inspectors of the tax authority on an ongoing basis. There are certain further conditions for the participation in the system - in particular that the previous tax behaviour of the applicant met some standards of compliance (eg, no criminal tax evasion occurred in the past). There is no experience with this system in Austria (apart from the experiences gained from a trial horizontal monitoring project, which was in place from 2011). How may the tax authority collect overdue tax payments following a tax review? Enforcement by the tax authorities is possible as soon as a title for execution is given, which is an excerpt of the arrears on the taxpayer’s tax account. The tax office may itself perform execution on assets (except immovable assets), receivables and other property rights. Movables belonging to the debtor may be seized and sold at auction. Monetary claims are executed by preventing the debtor from making any payments to his or her creditors. For the execution of immovable assets, the tax office requires court assistance. In what circumstances may the tax authority impose penalties? If a tax return is not filed on time, the tax office can impose a late filing penalty. If a tax amount is not paid when due, the tax office can assess a late payment penalty. Additionally, the tax office may impose fines to enforce certain actions of taxpayers (eg, to file a tax return). The amount of the late filing penalty is at the discretion of the tax authority, but must not exceed 10 per cent of the assessed tax. The late payment penalty is always 2 per cent of the amount of tax due, However, it is increased by an additional 1 per cent three months after the initial imposition of the late payment penalty and another 1 per cent after a further three months have elapsed. After the second increase (to 4 per cent), no further increase takes place. The maximum fine is €5,000. What defences are available if penalties are imposed? Both the late filing penalty and the late payment penalty are administrative acts against which an appeal is possible. If, however, the underlying tax is appealed against, then no separate appeal is necessary against the late payment penalty. In what circumstances may the tax authority collect interest and how is it calculated? If an income tax or corporate income tax assessment leads to an additional tax payment, interest accrues to the advantage of the tax authorities. If, on the other hand, the tax assessment leads to a refund, interest accrues to the advantage of the taxpayer. This primarily plays a role in case of tax audits, where the interest accrual begins on 1 October of the year following the assessed year and ends after 48 months (ie, interest accrues for a maximum period of two years). The interest rate is 2 per cent above the base interest rate (which is published by the authorities). If the taxpayer applies for a full or partial deferral of due tax payments (outside of an appeal procedure; see also question 27), the interest rate is 4.5 per cent above the base interest rate. With regard to a request for suspension in the course of an appeal, see question 27. Are there criminal consequences that can arise as a result of a tax review? Are these different for different types of taxpayers? The taxpayer must notify the tax office and disclose to the tax office truthfully all information relevant for matters of his or her taxation. If a deliberate breach of this obligation leads to a reduction in taxes, criminal tax evasion occurs, for example, in case of deliberately wrong tax returns. Criminal tax evasion is punishable with a fine of up to twice the reduced tax amount or up to two years’ imprisonment. In case of qualified forms of tax evasion (eg, use of falsified documents or fictitious structures), up to 10 years’ imprisonment is possible. In other cases, the punishment is up to five years (eg, in the case of commercial tax evasion, which occurs if the taxpayer has intentionally evaded taxes in a criminal manner for several (ie, more than two) years; or for tax evasion as a gang). If the tax evasion is committed with gross negligence, it is considered a tax offence that can be punished with a monetary fine up the amount of the evaded tax. The Financial Crime Act applies to individuals and - according to the Association Responsibilities Act - to legal entities if a decision maker or an employee commits the act for the benefit of the legal entity and duties that affect the legal entity are violated; in the case of ordinary employees only, if the decision makers have violated duties of supervision. This means that the legal entities are also subject to large fines. What is the recent enforcement record of the authorities? Can a tax authority involve or investigate third parties as part of the authority’s review of a taxpayer’s returns? In general, the tax authorities are entitled to involve third parties in order to investigate the facts and circumstances related to a taxpayer’s returns. However, the Austrian statutes impose obligations of secrecy (eg, bank secrecy or professional secrecy) in which cases, the disclosure of such information is prohibited by law. Banking secrecy may be lifted by court order in a tax investigation. It must be noted that even illegally obtained information is admissible in administrative tax proceedings as long as it is suitable for determining the relevant facts or circumstances. Does the tax authority cooperate with other authorities within the country? Does the tax authority cooperate with the tax authorities in other countries? In general, Austrian domestic authorities are obliged to cooperate with each other. That also includes a full exchange of information between Austrian tax and other domestic authorities as far as the disclosure of information is not prohibited by law. In addition, Austria has committed itself to the International Standards for Transparency and Exchange of Information for Tax Purposes, which overrule even the domestic bank secrecy. All recently signed or revised double taxation conventions ensure an exchange of information to the most extensive degree possible, as stipulated by Article 26 OECD MTC. In addition, Austria has signed the multilateral convention that also enables mutual administrative assistance in tax matters. In relation to information exchange instruments between member states of the EU, the EU Directive 2011/16/EU of 15 February 2011 on administrative cooperation in the field of taxation and the EU Directive 2010/24/EU regarding the assistance in the collection of taxes apply. With respect to US citizens, the exchange of information mechanism of the Foreign Account Tax Compliance Act applies. Do any special procedures apply in cases of financial or other hardship, for example when a taxpayer is bankrupt? The Austrian income tax legislation provides for tax relief in the event of debt waivers in the course of insolvency proceedings. For companies, the offset of losses, contrary to the general rule, is not limited to 75 per cent of the profits. In the VAT system, the recipient of services can apply for an input tax refund even if VAT payments were not paid by the contracting party due to insolvency. Taxpayers may apply for a full or partial deferral of due taxes. Upon application, the tax authorities are obliged to abstain from collecting due tax claims if their collection would be unreasonable. Moreover, if the collectability of due taxes is not possible due to the financial situation of the taxpayer and it can be reasonably assumed that the financial situation of the taxpayer will improve in the near future, the tax authorities may grant a temporary suspension of payments. Are there any voluntary disclosure or amnesty programmes? 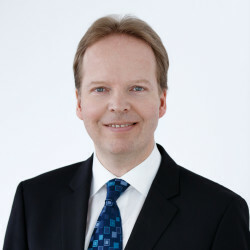 The Austrian Fiscal Act provides for the possibility of voluntary disclosure in order to avoid criminal prosecution arising from fiscal crimes. 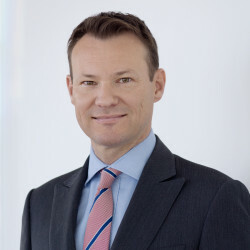 The taxpayer must voluntarily reveal all facts and circumstances related to the fiscal crime committed before the offence has been fully or partially detected by the Austrian authorities, and pay the amount of tax evaded within one month after the submission of the voluntary disclosure, or at least apply for payment reliefs within this month. If a voluntary disclosure is made at the beginning of a tax audit, a surcharge of 20 per cent of the tax evaded must be paid. Only the persons included in the voluntary disclosure will benefit from the voluntary disclosure. Moreover, as of 1 January 2019, a system of ‘horizontal monitoring’ will be applicable for large enterprises (ie, banks, insurances and other enterprises with an annual turnover of more than €40 million) upon their request (see question 9). Enterprises opting for this system will have to provide tax inspectors with requested documents on an ongoing basis as well as spontaneously address issues that are relevant for the taxation of the current business or business transactions. What rules are in place to protect taxpayers? to reopen a tax assessment. Finally, the tax authorities must comply with tax secrecy. How can taxpayers obtain information from the tax authority? What information can taxpayers request? The taxpayer is entitled to full disclosure of his or her tax file by the tax authorities upon request. The taxpayer may inspect any assessment file and any files relating to a tax audit as well. Should the access be denied, no remedy is available against such denial. In such case, the taxpayer may include in the appeal that the procedural right to get disclosure was violated. In addition, the taxpayer is entitled to ask the tax authorities for any legal information in tax matters. The tax authorities are obliged to provide assistance to the taxpayer if he or she is not represented by a professional. Is the tax authority subject to non-judicial oversight? Tax offices are subject to oversight by the Austrian Ministry of Finance. Directives issued by the Ministry of Finance must be followed by the tax offices. The Ministry of Finance does not usually direct the tax office or the tax audit team. The tax courts are independent. Which courts have jurisdiction to hear tax disputes? Appeals lodged against decrees of the tax office fall under the competence of the tax courts. There are two kinds of tax courts, competent for different taxes. An Administrative Court in one of the nine federal states is competent in the case of municipal or state taxes, while the Federal Finance Court is competent when federal taxes are concerned, which include such taxes as income tax, corporate income tax and value added tax. An appeal against the tax court’s decision can be brought before the Supreme Administrative Court in case of legal issues of fundamental importance or, if it is claimed that constitutional rights were violated, before the Constitutional Court. There is, however, no appeal on the facts of the case. The Supreme Administrative Court will not perform any factual investigations, nor will it review the facts and circumstances provided by the Federal Finance Court. No new facts will be considered in front of the Supreme Administrative Court. The tax office and the Federal Finance Court are also competent in the field of fiscal criminal law, whereby the courts are generally competent if the amount in question exceeds €100,000 and the violation of the fiscal criminal law was committed with intent. How can tax disputes be brought before the courts? If a decree of the tax offices infringes taxpayer’s rights, an appeal can be filed by the person addressed in the decree. This is usually the case after the tax office issues new decrees after the completion of a tax audit. An appeal against a tax office’s decree must be filed in writing or declared for record within one month from service and is addressed to the competent tax office, not the tax court. This one-month period may, upon the application of the taxpayer for ‘good reason’, be (also repeatedly) prolonged by the tax office. The tax office may issue a preliminary decision if the taxpayer has not requested that it may refrain from doing so or if only the illegality or unconstitutionality of legal provisions or the illegality of state contracts is claimed. The appeal must name the parties, the matter of the claim, the appeal decision and the arguments of the taxpayer; it is further recommended to provide evidence. There is no value threshold for an appeal. The taxpayer may seek the revision or annulment of the decree. The tax courts may, however, change the decree in any way also to the detriment of the appellant. Furthermore, the taxpayer may file for suspension or deferral of payment (see question 27) and ask for payment facilities for the case that the tax claim is deemed to be valid. Can tax claims affecting multiple tax returns or taxpayers be brought together? Different tax claims may only be brought together by the tax authorities for litigation if the underlying tax assessment is contested by several taxpayers respectively or if several appeals are filed against the same tax assessment. Must the taxpayer pay the amounts in dispute into court before bringing a claim? An appeal against a tax office’s decree or assessment does not have the effect of suspending the execution based on a disputed tax assessment. The disputed amount hence must be paid, even if an appeal is filed. However, the taxpayer may ask for a deferral of payment before an appeal might be levied, if the immediate full payment of the tax would result in considerable hardship for the taxpayer and if the collectability of the tax is not jeopardised by the deferral. Interest on the deferred payment amounts to 4 per cent over the base interest rate (currently 3.38 per cent) if the amount exceeds €750. Alternatively, together with the filing of the appeal, the taxpayer may apply for suspension in whole or in part. A suspension must be granted by the tax authorities if the appeal does not, from a reasonable perspective, appear to be almost certainly unsuccessful; and if the taxpayer’s conduct does not indicate a danger in respect of the collection of the tax claim. If the appeal is finally unsuccessful, interest is chargeable by the tax authorities for the period during which the payment of the tax was suspended (currently 1.38 per cent). If the taxpayer decides to pay and consequently the appeal is successful, the taxpayer may in turn also claim interest in respect of the amount paid. The interest rate is 2 per cent over the base interest rate of 1.38 per cent (see question 14). To what extent can the costs of a dispute be recovered? An appeal against a tax decree does not bear any costs itself. The costs of the tax dispute which occur due to representation by a professional representative, for example, cannot be recovered. Successful proceedings against a tax court’s judgment, however, warrant a claim for a partial refund in the form of a lump-sum payment amounting to €1,106.40 plus a refund of the court fees paid (which currently amount to €240 in the case of both the Supreme Administrative Court and the Constitutional Court). Are there any restrictions on or rules relating to third-party funding or insurance for the costs of a tax dispute, including bringing a tax claim to court? In general, no such restrictions apply in Austria. Capital maintenance rules, however, prevent affiliated companies from financing the tax litigation of any parent company, sister company or other company that is not a direct or indirect subsidiary or otherwise non-subordinated company within a group of companies. Who is the decision maker in the court? Is a jury trial available to hear tax disputes? Generally the tax court’s decision is made by a single judge unless the taxpayer (or the judge in specific cases) has requested that the decision should be made by a ‘senate’, which is a body comprising a judge and two lay judges. There are no jury trials in Austria in the case of tax proceedings. When a tax court acts in fiscal criminal matters (see question 24), the senate comprises two judges and two lay judges. Decisions of the Supreme Administrative Court (see question 38) are made by a panel of five judges. In matters of financial criminal law and in certain procedural matters, a panel of three judges decides. The Constitutional Court regularly decides as a senate of six, whereby the president of the court does not cast a vote. The Constitutional Court may, however, also decide as a larger senate or in a plenary sitting. What are the usual time frames for tax trials? After the appeal is filed, the tax office, if it was not requested that it may refrain from doing so (see question 25), must make its decision within a period of six months. If the decision is not made within six months, the taxpayer is entitled to file a complaint against the tax office’s inactivity with the competent tax court. If such a complaint is levied, the tax office still has three months to make its decision. The same time frames also apply to the tax courts, whereby complaints against the tax court’s inactivity are filed with the Supreme Administrative Court. In practice, it usually takes courts more time to come to their decisions than envisaged by the statute. A tax trial may take between six and 30 months approximately, depending on the court and the subject matter of the case. An appeal before the Supreme Administrative Court may even take from nine to 36 months, whereas the Constitutional Court is usually quicker to decide on the claims levied that fall within its scope of competency. What are the requirements concerning disclosure or a duty to present information for trial? Like the tax authorities, the tax courts must investigate in principle ex officio and may take evidence as well. However, it is in the interest of the taxpayer to clearly present his or her position in the appeal and provide substantiated evidence. The files of the tax authorities will be made available to the court in the course of the preparation. The taxpayer should also dispute the facts and legal arguments brought forward by the tax authorities. In preparation for a hearing, the judge may conduct informal discussions with the taxpayer and the tax authorities in order to clarify and discuss the facts and merits of the case. Within such discussions, the parties and the judge may also discuss a settlement. What evidence is permitted in a tax trial? In a tax trial, anything may be considered as evidence that is appropriate according to the situation of the particular case. The most used types of evidence are documentary evidence and the testimony of witnesses, but site visits and expert witnesses are permitted as well. The taxpayer’s testimony is generally considered by the court to be of great importance, although he or she is not formally regarded as a witness. Oral translation assistance is not provided automatically for people who do not understand the language of the proceedings (which is German), but must be organised independently. Only deaf or hearing-impaired people receive mandatory assistance. Who can represent taxpayers in a tax trial? Who represents the tax authority? Taxpayers may represent themselves before a tax court, or they may be represented by a professional representative such as an attorney at law, a (registered) tax adviser or a certified public accountant. During the proceedings in front of the Supreme Administrative Court, representation by an attorney, a (registered) tax adviser or a certified public accountant is mandatory, and publicly funded legal aid is available if legal representation cannot otherwise be afforded. The tax authority is represented by specially qualified public officials. Are tax trial proceedings public? Tax court hearings are held publicly. If neither the taxpayer, in the complaint or in the appeal against the preliminary decision (see question 24), or the single judge or senate requests that a public hearing should be held, the court can also decide on a closed session. The taxpayer may also request that no public hearing is held, whereby the tax office, witness or experts may only request that the public be excluded if things are discussed that fall under secrecy obligations or if the public would interfere with the objective of levying the taxes. Who has the burden of proof in a tax trial? Tax trials follow the principle of official investigation and there are no statutory provisions on the burden of proof regulations. The taxpayer is in charge of clearly presenting his or her position and providing substantiated evidence. In circumstances where it cannot be expected that the taxpayer can provide proof, he or she must at least demonstrate credibility. The tax authority, in turn, must prove all the facts and circumstances necessary to justify a tax claim. Describe the case management process for a tax trial. After the appeal is filed, the tax office that issued the contested decision has to make a preliminary decision unless an exception applies (see question 25). If a preliminary decision is made, the taxpayer has the right to file a request of remittance within one month, thereby initiating proceedings before the tax court. The preliminary decision then becomes null and void. The tax court performs the necessary investigation and may reject the appeal as unfounded or allow the appeal, which leads to the annulment or revision of the tax decision or assessment. Case management is in the hands of the tax courts. They investigate the case ex officio (see questions 32 and 33) which entails that the courts are in complete charge of the proceedings, including case management. As mentioned above, the courts may, for example, consolidate or split pending cases (see question 26); refer the case to a single judge sitting alone (see question 30); summon and question the parties, third parties, witnesses and expert witnesses; request information; schedule pre-trials (see question 32) and so on. Electronic document filing and file management; pre-trials; and hearings and questioning of parties, witnesses or expert witnesses by video are permissible, albeit not widely used at present. Can a court decision be appealed? If so, on what basis? A taxpayer may file a ‘revision’ against the tax court’s decision, which must be submitted within a non-prolongable period of six weeks. The revision is decided upon by the Supreme Administrative Court. There is no minimum threshold amount necessary to file a revision (see question 25). The revision is addressed to the tax court, which rules on compliance with procedural requirements and the admissibility. The matters brought before the Supreme Administrative Court must address fundamental questions so that it may secure the uniformity of the application of the (tax) law. If the tax court negates admissibility, an ‘extraordinary revision’ to the Supreme Administrative Court is also possible within six weeks, but this requires additional arguments as to why a fundamental question is being raised. The Supreme Administrative Court does not decide on the facts and circumstances of the case, but rules on errors of law or procedure. The Supreme Administrative Court is obliged to refer cases to the Constitutional Court if it considers a legal provision to be unconstitutional or to the European Court of Justice if a question arises that needs to be interpreted under EU law. If a taxpayer is of the opinion that a decision of a tax court violates his or her constitutional rights or is based on an unconstitutional or otherwise illegal provision, he or she may also directly address the Constitutional Court within a period of six weeks after the tax court’s decision. The appellant may request that the Constitutional Court transfer the case to the Supreme Administrative Court if non-constitutional rights but no constitutional rights are found to have been potentially violated (this procedure is called ‘successive revision’). The Constitutional Court and Supreme Administrative Court may also be addressed simultaneously (‘parallel appeal’). 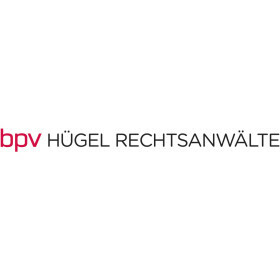 bpv Hügel is one of the leading Austrian law firms, advising national and international corporate clients in all fields of commercial law. The firm operates from offices in Austria and Brussels and the focus of its work extends to Austria and the CEE region.